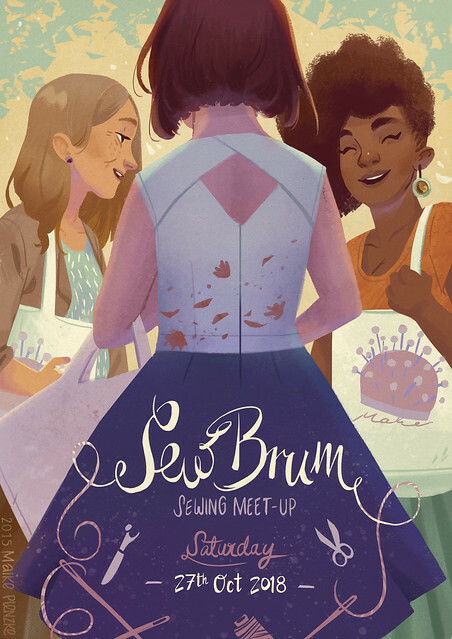 I planned to sew the True Bias Southport Dress as soon as it was released, but it sat waiting until Heather’s Sundress Sew-a-long gave me a nudge to get sewing, before the summer is over. I fall between pattern sizes, but given the ease in the pattern (as a result of the gathered waist) I sized down to size 0. 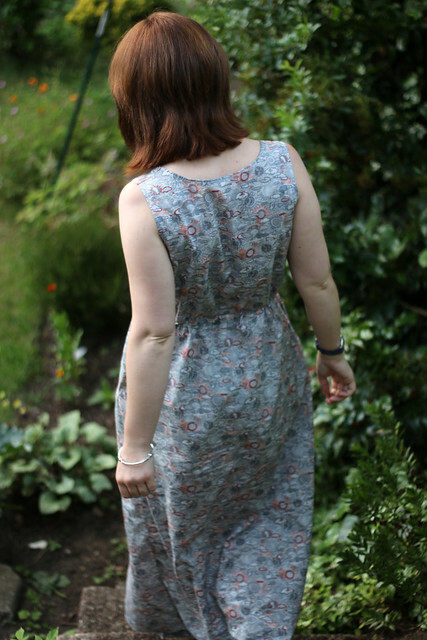 To compensate for sizing down, I used a smaller seam allowances than recommended, but it wasn’t necessary as the finished dress has plenty of ease. I’m fairly short (5’4″) and the dress turned out very long on me. 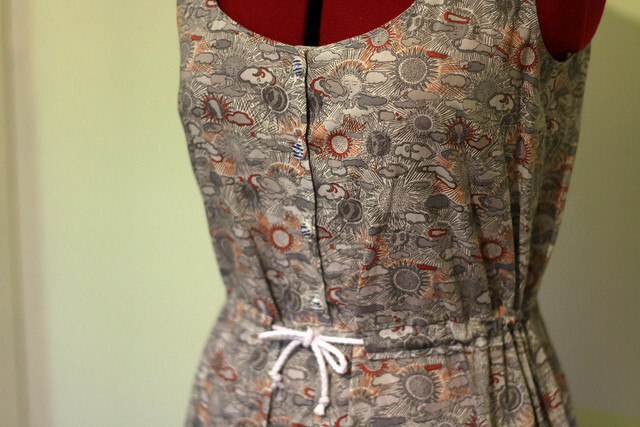 I shortened the shoulder straps by around 1 cm as the front neckline was originally a bit risque. I also used a total hem allowance of 4″ (twice folding up a 2″ hem). The resulting length is just right with heels, but is too long to wear with flats. I might take the dress up further as I do tend to wear flats most of the time, but I do like the glamour of a really long skirt. I haven’t worn a floor-length dress in a long time. 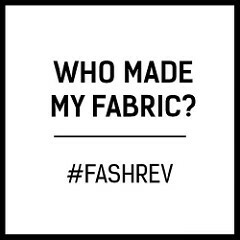 I avoided them in RTW as I always thought I was too short, but the joy of sewing is that it inspires you to try different silhouettes. I definitely fancy some more maxi length dresses now. 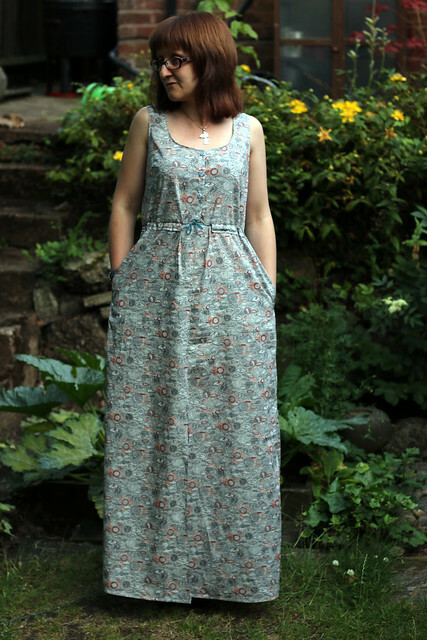 The fabric is Liberty, purchased in Shaukat on a trip to London last August. After a year in my stash, I’m glad to have stopped being precious about the fabric and put it to use. 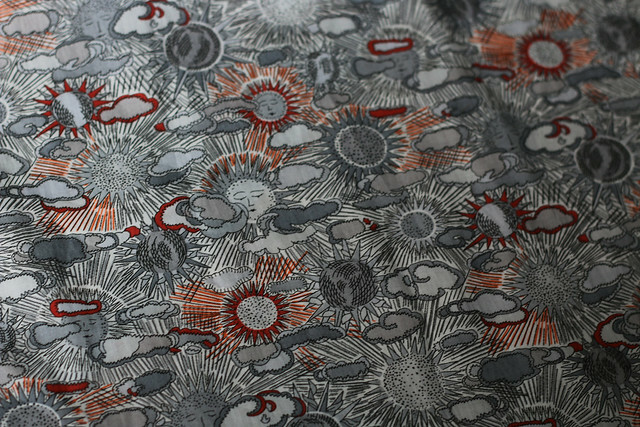 The fabric is perfect for a summer dress, since it features lots of suns – as well as quite a few clouds, just like an English summer! I had slightly less than 2 metres of this fabric, which is less than is recommended for the maxi version (2.5 metres in my size). I was determined to use this fabric and to make the maxi version, so I had to cut one of the front skirt pieces in two panels. Given the busyness of the print the seam isn’t obvious unless it’s pointed out. 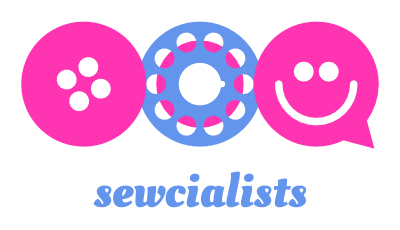 It’s definitely one of those things that only someone who sews would possibly notice! In the pictures above, the waist is gathered with some cotton yarn, which was all I had in my stash. I’ve since bought some cord from Guthrie & Ghani, which I think finishes the dress nicely. The buttons I used were some I made a couple of years ago in polymer clay and painted with stripes using acrylic paint. 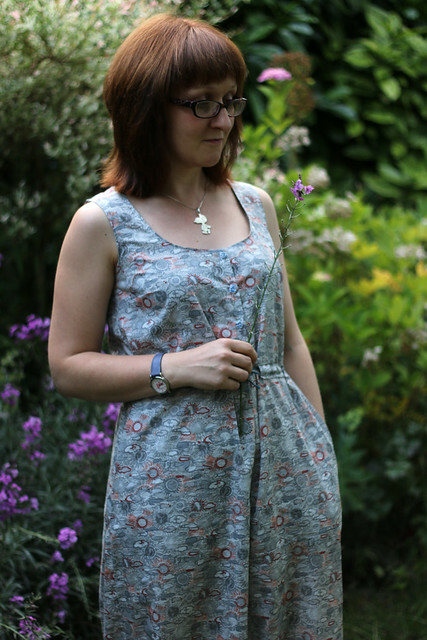 I’m hoping for good weather for a couple of months yet so I can get some more wear out of this dress, and sew a few more summer projects. 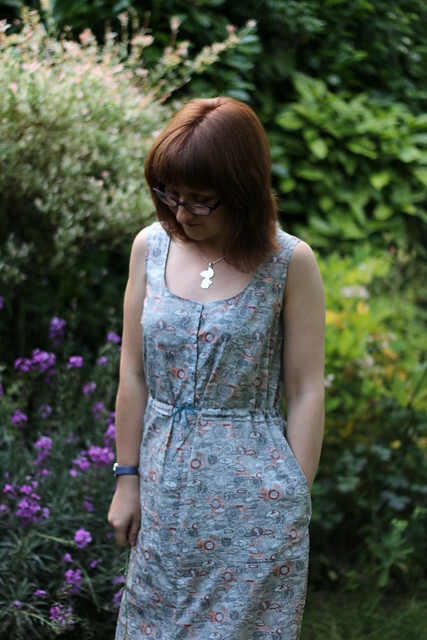 Categories: Sewing | Tags: #sundresssew15, dress, fabric, grey, liberty, silver, southport, summer, sun, true bias | Permalink. 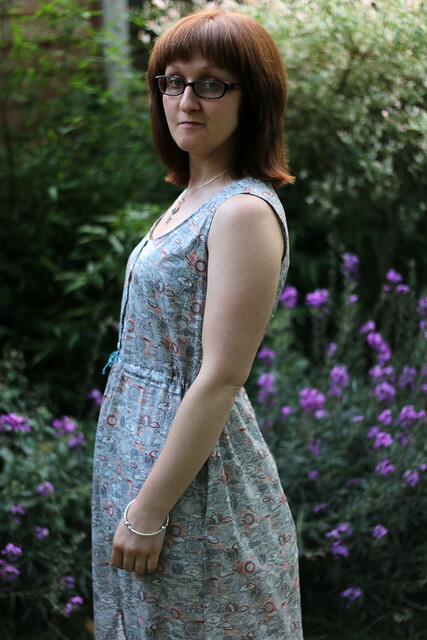 Thank you – I haven’t actually used much Liberty fabric yet but I really enjoyed sewing with it so more may be purchased;) It does force me to do some ironing though as this dress creases a lot! That fabric is beautiful. I like your Southport a lot. Perfect for a summer sundress! Thanks, When I bought the Liberty fabric I had a hard time choosing which print to go for (Shaukat have so much choice!) but I love this one. Now that I’ve finally used it I can probably justify buying some more Liberty fabric at some point! Lovely! 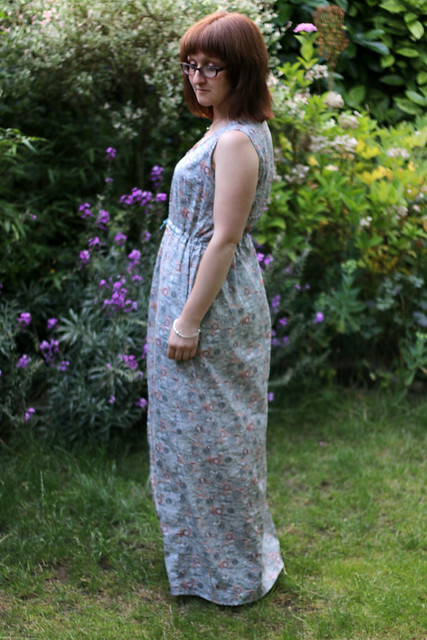 I always thought I was too short for maxi dresses too (I’m nearly 5’1″!) but actually once I tried them I realised they look fine. It looks great on you! 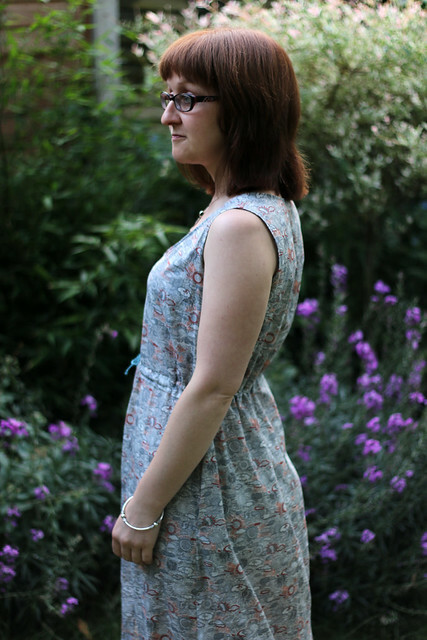 Such a pretty dress and so wearable as less ‘formal’ than some summer dresses with fuller skirts. Reckon you’ll get loads of wear out of this. Well done for squeezing it out of the fabric you had like you say, no one would ever know any different! 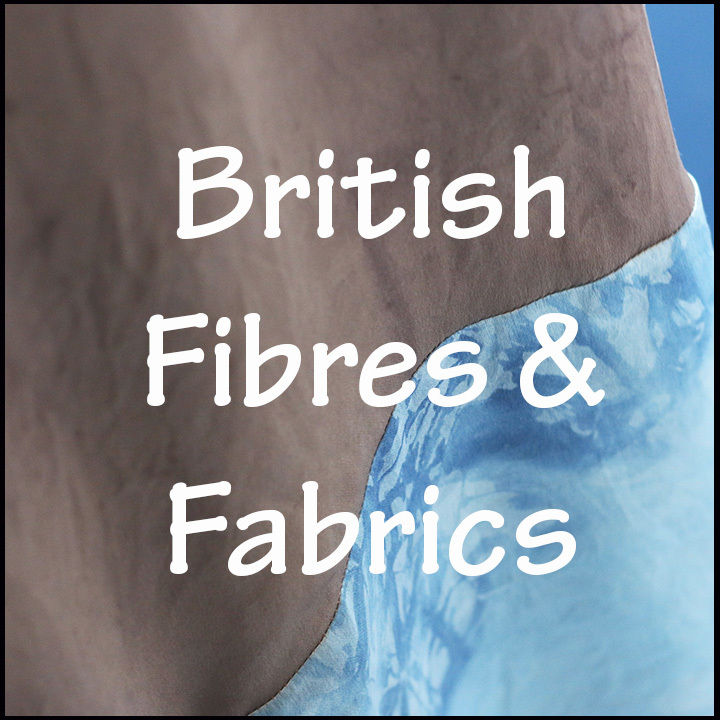 Love the fabric – perfect for England! I’m astonished you got a maxi out of LESS than 2m – well done you. 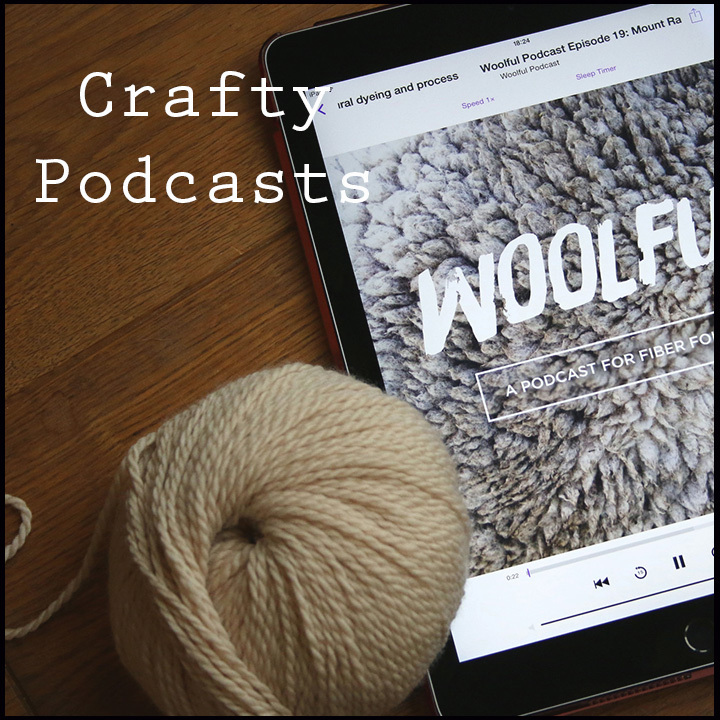 This turned out great for you! 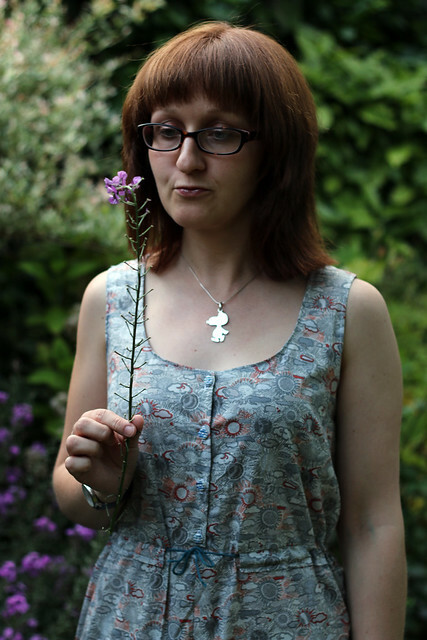 I also had to raise the neckline for me as it was a little too risque- as you say. I was feeling rather prudish about it, but glad to find out I am not alone.